Turns out the rumors and leaks were true: The Nintendo Switch has gotten a YouTube app. After a listing was spotted on Nintendo's website showing a YouTube app for the Switch last week, Google on Thursday released the app for the portable gaming console. Available as a free download, Switch users are now able to go into the system's virtual Nintendo eShop store, download the video app and begin watching videos just like they would on a phone, tablet or on an Xbox One or PlayStation 4. In addition to regular HD videos, the YouTube app also supports the site's 360-degree videos. As with other Switch apps and games, users can use the YouTube app on the Switch's portable display or on a larger television screen when the console is placed in its dock. Using the app also does not require a subscription to Nintendo Switch Online, the company's online gaming subscription service that is $3.99 for one month, $7.99 for three months or $19.99 for a year. 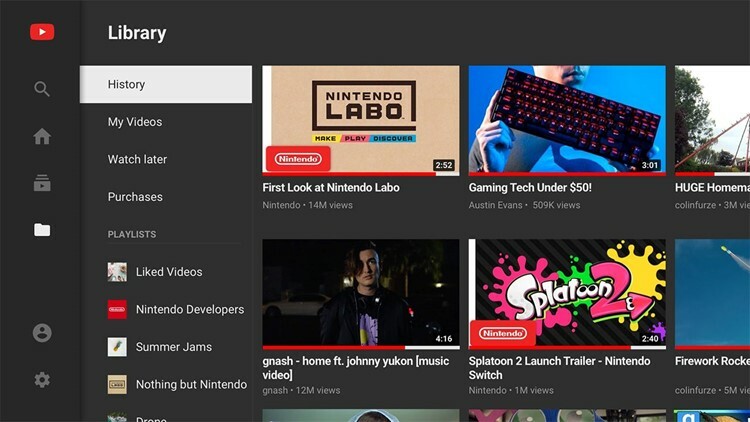 While it took a while, adding YouTube is just the second notable video platform for the Switch, following Hulu which arrived on the platform last November. Netflix and Amazon both remain notably missing, even though the two streaming sites were previously on the Switch's predecessors, the Wii and Wii U.